When you step into Wolfgang Puck's Trattoria del Lupo in Mandalay Bay, you step into an airy, cafe-like setting with antique furnishings. The result is a truly authentic trattoria look. This was Wolfgang Puck's first Italian restaurant in 1999 and its tastes of Italy are also said to be very authentic. One of Trattoria del Lupo's most unique attributes is a glass enclosed area where pasta is made daily. This only aids the restaurant's quest for authenticity and quality. 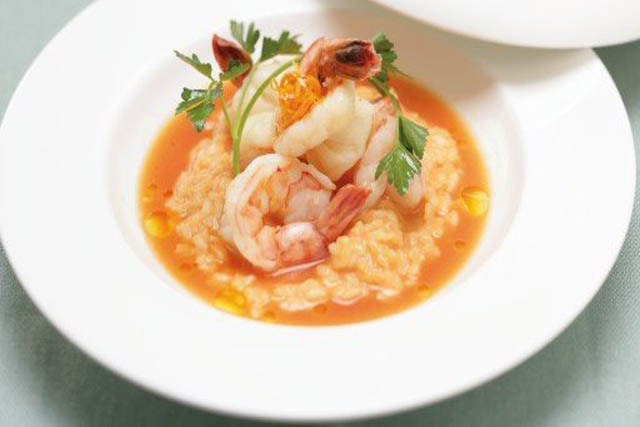 Trattoria del Lupo serves a wide variety of entrees and appetizers. As an appetizer, the brushetta trio is a good choice. Gamberetti and fagioli also please the palate, but of course, what you'll like is dependent on your tastes. There are also vegetarian options. Some classic entree options are antipastos, pizza, Tuscan Angus Burgers, and Lasagna. This is by no means an extensive list; the menu includes veal, seafood, pasta and more. Desserts are also spectacular at the Trattoria. Something you won't find at run of the mill restaurants in zeppolini. Zeppolini are ricotta doughnuts topped off with dipping sauces like vanilla and caramel. Two drinks an Italian restaurant can never be without are wine and espresso. Espresso pairs well with desserts, and will give you a convenient jolt if you happen to be headed for a night on the town. The wine list at Wolgang Puck's Trattoria del Lupo is extensive and well chosen. 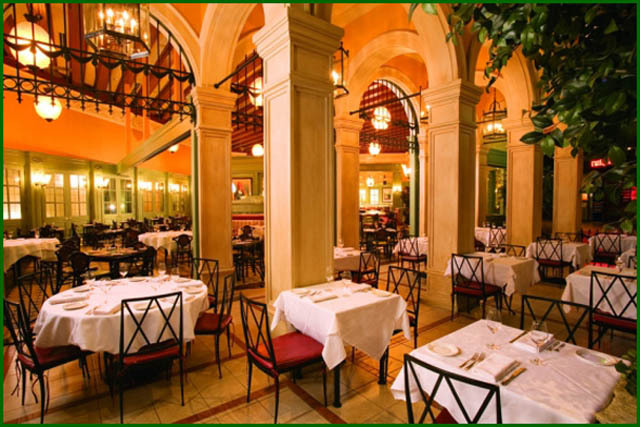 When all is said and done, a meal at Trattoria del Lupo in Mandalay Bay is a well rounded, delicious experience. My husband and I dined at Trattoria del Lupo a couple of weeks ago. It was our first time to do so, and it we had a magnificent meal. I do wish I had asked the name of the Reisling wine I had, for it was one of the best I have tasted. We both had a seafood pasta special of the night, and it was to "die" for!!!! Our waiter was quite helpful to suggest the tomato and mozzarella cheese salad to split to accompany the pasta dish. We loved our table which allowed us to people watch and as dined. What a special meal it was finished by seeing "The Lion King." We love Vegas and will defnitely be going back to this restaurant.